Oriental Delight tea is a blend of Pu-Erh tea with Chrysanthemum flowers. When brewed, it has a dark brown hue, a deep rich sweet taste, and a flowery aroma. 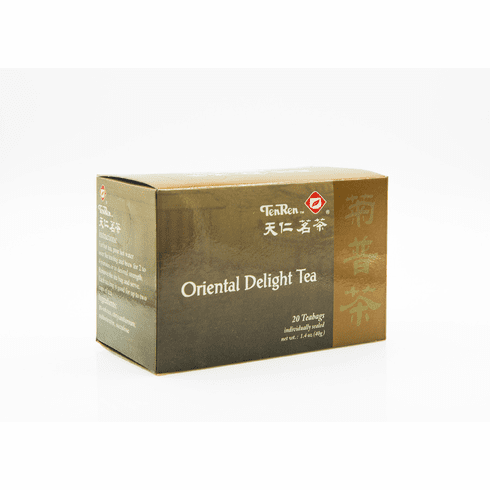 The Oriental Delight blend is frequently served in fine Chinese Dim-Sum restaurants. Water at boiling point should be used for steeping. Available in boxes of 20 bags. Shipping weight is 0.16 lb.